In my other life I am a full-time college professor teaching intensive academic English to immigrants and foreign students who need a bit more English to be able to make it in the mainstream of our local community college. I don’t make a whole lot of money (although there are other perks to living the higher education life!) and until my son enters kindergarten, I have a big fat daycare bill every month, so I am not dropping $10 a day on going out to lunch. No WAY. I try, as much as possible, to prepare three wholesome, homemade meals a day for me and my son (and they are not always the same meal — my kingdom for a dishwasher….) and do it on the cheap. I triple recipes and freeze portions for greater efficiency. And I am always searching for new takes on standard ingredients. 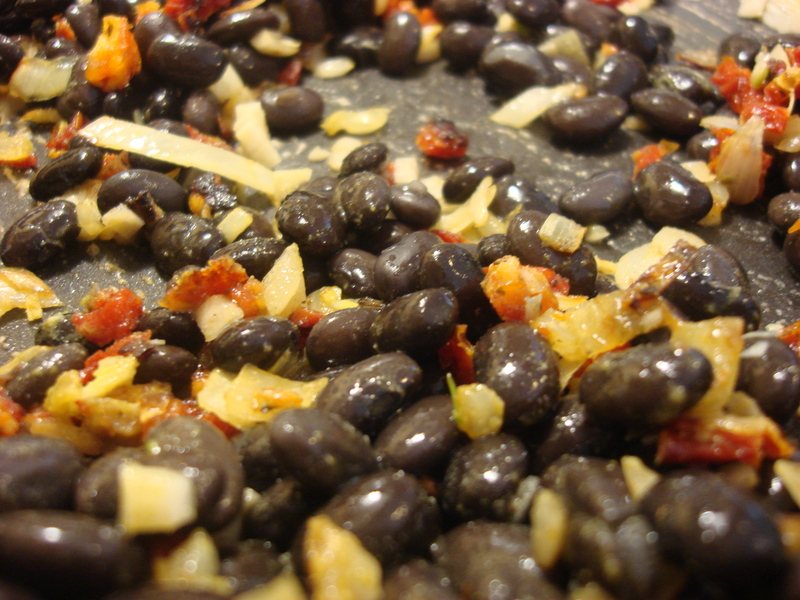 So here is a new recipe for black bean burgers, inspired by Vegetarian Times. This addition of quinoa — a super-grain that is super-easy to prepare — creates a phenomenal texture and you can really substitute whichever spices you like; here I used adobo powder to good effect. ATTENTION VEGANS: the quinoa holds everything together, so there are NO EGGS needed! You can also freeze the extra; a great plus. I did them from dry beans, soaked overnight with a bit of salt, then simmered for a couple of hours, but I include the measurements for using canned beans too. Full disclosure: Leandro loved the texture and did not like the taste AT ALL. So I will get to pack them for my lunches for the next few weeks and next time I make these, I will fiddle around with flavors. VegTimes suggests steak seasoning (which is vegetarian) so maybe I will go that route. Here’s to a delicious and healthy Spring Semester, starting now at a college near me! Saute onion and tomatoes in a large nonstick skillet and cook over medium heat (you probably won’t need additional oil as the tomatoes will have enough). Cook 5 minutes, until onion is well-softened. Stir in black beans (half if using canned), garlic, adobo and 1.5 Cups water and simmer until most of the liquid has evaporated and the beans are softened (you may need more water if using beans from dry). Season with salt and pepper if necessary and allow to cool. Transfer bean mixture to food processor. Add half the quinoa and process until smooth. 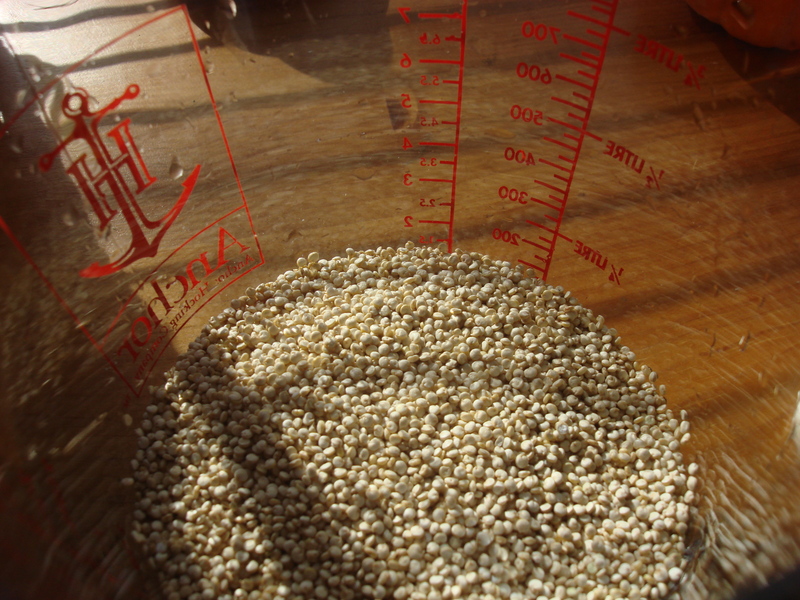 Transfer to a large bowl and mix in the remaining quinoa (and remaining beans if using canned). Preheat oven to 350°F and coat baking sheet with cooking spray. 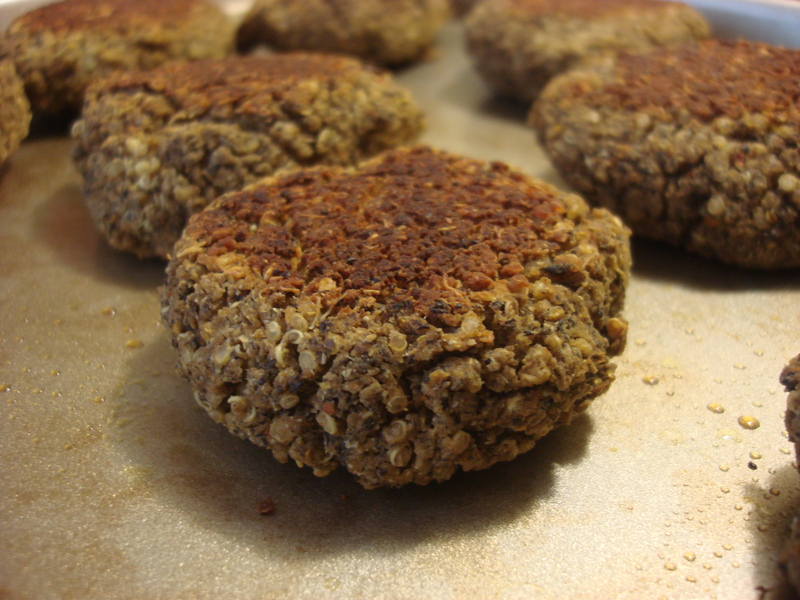 Shape bean mixture into ½ Cup patties (8-9) and place on baking sheet. Bake 15-20 minutes on each side until both sides are crisp and brown and serve with fixings of your choice. Great recipe! I always have a stock of dried pulses, beans etc in the cupboard. I have never tried black beans though. Will give this a shot for sure. Thanks! Thanks for the visit! Let me know how it goes! I’ll probably be making these, like, today! I love that all the ingredients are so accessable. Thanks for sharing. Let me know how it goes…thanks for stopping by! This texture was really terrific; I may try the same technique to make oven-baked falafel. thoughts? 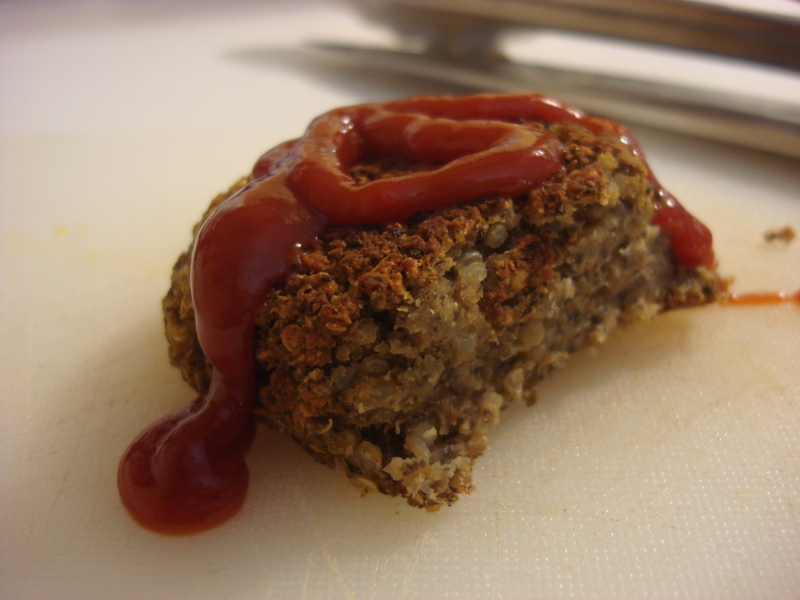 I’ve posted a number of vegan recipes lately…people are going to start to wonder about me! Those look good. I’d definitely be reaching for the salsa. Oooooh, salsa sounds like a wonderful idea! These look fantastic! I have been looking to do more with quinoa, beyond my usual “salad topper” so I can’t wait to try these out!